Traditionally, health professionals have been the primary source of health information for patients and their relatives, the other important ‘offline’ sources of health information being friends and relatives, and other persons/ families suffering from similar ailments. However, the increasing penetration of Internet has allowed patients to search the net to obtain health information. Studies have shown that health related information is one of the most frequently sought issues while browsing the Internet (Fuerts et al., 2007). According to the Pew Internet and American Life Project, 82 percent of the adult American population uses the Internet and of that, 72% of users have looked up health related information in the last year on the net (Rice, 2006). Even in developing countries like India, there has been an increase in Internet use to seek health related information (Akerkar et al., 2005; Bakshi, 2012). Patients may access the Internet before consulting with a doctor to gain information about their symptoms and/or disease, as well as after the consultation process, to validate and verify the information provided by the doctor (Mcullan, 2006). Policy makers have emphasized that this increasing use of Internet for health information can be tapped to educate the patient, and hence foster patient empowerment (Edejer, 2000). Patient empowerment refers to the process of facilitating self directed behavioural change in patients, in order to ensure the delivery of ‘patient centered’ healthcare service (Anderson and Funnel, 2010). The term ‘empowerment’, as described by Paulo Freire, underlines the importance of education. The Internet allows patients to access health information at the convenience of a click, ensures anonymity, and also enables people to reach out to support groups, and as such, is becoming an important source of health information seeking. Scholars have argued that internet based health information can, potentially, enhance patients’ understanding of their disease and self management capabilities (Sommerhalder et al, 2009). Thus, potentially, Internet can act as a medium to ‘educate’ the patient about his/ her illnesses, and can result in patient empowerment as described above. However, the process of empowerment and delivery of patient centred care should be understood in the context of the interface between the patient and the healthcare system (Johns, 2006). The fulcrum of the patient’s connect with the healthcare system is the doctor-patient interaction. Arguably, the use of Internet based health information would result in a change in the manner in which patients interact with their doctor, and hence, impact the way in which physicians deal with such patients. In other words, Internet health information seeking by the patients may affect the dyadic process of doctor-patient interaction (Fuertes et al., 2007), which is one of the most important determinants of the quality of healthcare. 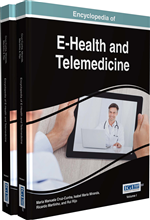 The majority of the studies have analyzed the impact of the use of Internet based health information only from the patient’s perspective (Sommerhalder et al., 2009). The investigation of the issue from a physician’s perspective has been limited (McMullan, 2006). Drawing upon the Structuration theory, this chapter attempts to analyze the effect of Internet health information seeking on doctor-patient interactions, more specifically, from the perspective of doctors. Patient Empowerment: A process designed to facilitate self-directed behavior change by designing and delivering health care services which enables citizens to take control of their health care needs. Doctor Patience Interaction: The doctor-patient interplay, which comprises the social as well as clinical aspects of a confidential relationship shared by physician and patients. Structuration Theory: Giddens’ structuration theory suggests there is a social structure (traditions, institutions and moral codes) that guide human behaviour. However, these structures themselves can be modified by human agency, for example by reproducing them differently or interpreting them differently or replacing them. High Power Distance: Power distance is one of the dimensions of Hofstede's cultural dimensions theory. High power distance cultures are characterized by societal members being deferential to figures of authority and generally accepting an unequal distribution of power. Patient Centered Care: A model of healthcare delivery in which healthcare providers partner with patients and their families to identify and satisfy patient needs and preferences while providing professional care.